Da Lat is located in the central highland of Vietnam at Lam Dong province, and about 200km far from the northeast of Ho Chi Minh City. It was founded in 1897 when Doctor Alexandre Yersin recommended that this area could be developed as a resort town. The city spreads across a series of pine-covered hills, with a small lake in the center and surrounded by a lake and higher peaks, making for some lovely scenery. All the lakes in Da Lat become famous because of its romantic name and charming sightseeing as Ho Xuan Huong, Than Tho, Da Thien, and Tuyen Lam. In addition, the city is surrounded with LangBian highland, one of the attractive spot at Da Lat with the height 1900m, also the living area of some ethnic minority villages. Thanks to its pleasant weather, Da Lat is also called “Eternal Spring” city, warm during the day and pretty cool at night. Sometimes, it could be down to 10 degree. That weather is quite good condition to grow plenty kinds of plant, so Da Lat is the supplier of vegetable and fruit all over Vietnam. Moreover, the city also has another name of “City of flowers” with 2 famous typical flowers: hydrangea and golden everlasting. The flowers growing industry is highly developed so the city organizes the Flowers festival every year to attract more tourists. Nowaday Da Lat is one of the most attractive destinations in Vietnam. About 800,000 domestic tourists and 80,000 foreign tourists visit every year, and it becomes the country’s favorite honeymoon spot thanks to its romantic scenery. 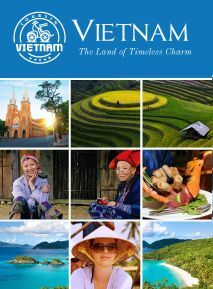 · Exciting tour cover all highlights of Vietnam from the North to the South. · Getting more experiences in the local daily life, history, culture, religions, and beautiful nature of Vietnam. 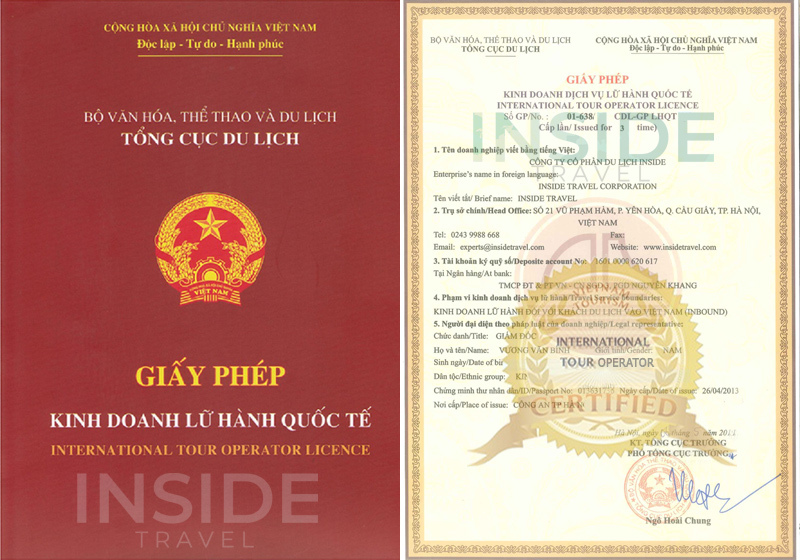 · Visiting Hanoi - the Capital with a thousand years of culture of Vietnam. · A leisurely cruise in mystical Halong Bay, full of adventure Sapa travel. · Fascinate you with bustling Saigon. · Have memorable time with stunning places around Vietnam: lush countryside, fascinating city, amazing landscapes, wonderful beaches and islands, etc. · Getting more knowledge about the Vietnamese life, history, nature, culture and religious. · Time to relax in beauty spots with pure fresh air, good weather, friendly local people, nice food and fruits, etc. · Enjoying local specialties, take part in local activities and share the information. · Discovering the exotic of Vietnam from the North to the South. · Visiting many ancient places in Vietnam: Duong Lam village, Hoi An Ancient Town, Phuoc Tich ancient village, Hue Emperor Citadel. · Having pleasure time in stunning places around Vietnam: lush countryside, fascinating valley, amazing landscapes, wonderful beaches and islands. · Getting more knowledge about the Vietnamese: farmers, fisherman, and ethnic minority group. · Enjoying nature and wildlife at some Parks, like Cat Ba National Park, Rung Sac Guerrilla Base, Nam Cat Tien National Park.